Get 1/2 OFF September's Rent Today! We have the best Studio units in Greenville at the best price!! Our studio takes care of all your housing bills and keeps you close enough to campus to walk AND on the downtown ECU bus route. Stop by for a tour to see how you can save $150 on sign up fees! Looking for something NOW? Call for availability and pricing! 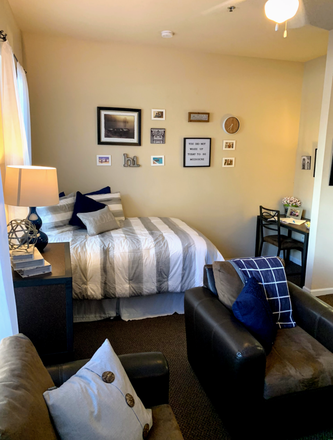 Located off campus near the East Carolina University, First Street Place Apartments offers real value, a convenient downtown location and, most of all, a fun place to live. Imagine coming home to well lit heated interior corridors with state-of-the-art 24 hour fitness center, controlled access doors, 24 hour computer lab with printer, salt water resort style pool and more--all included! 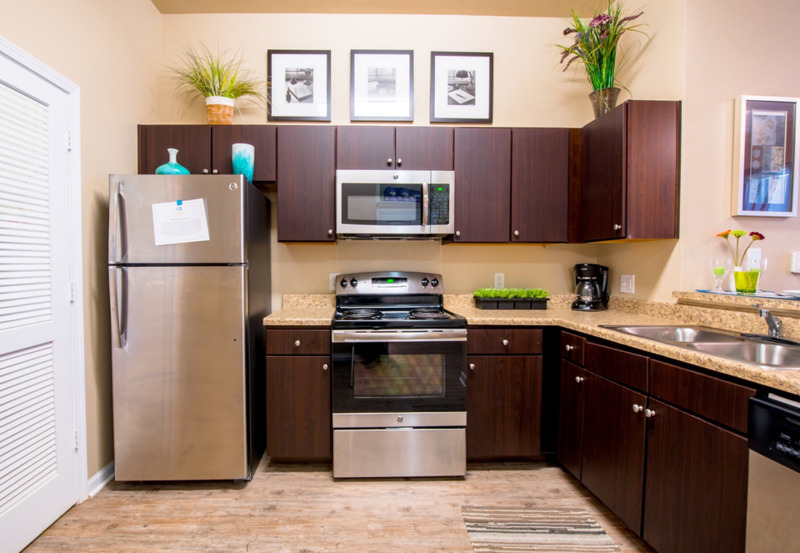 Plus, our apartments are fully furnished and every apartment is wired for high-speed Internet. 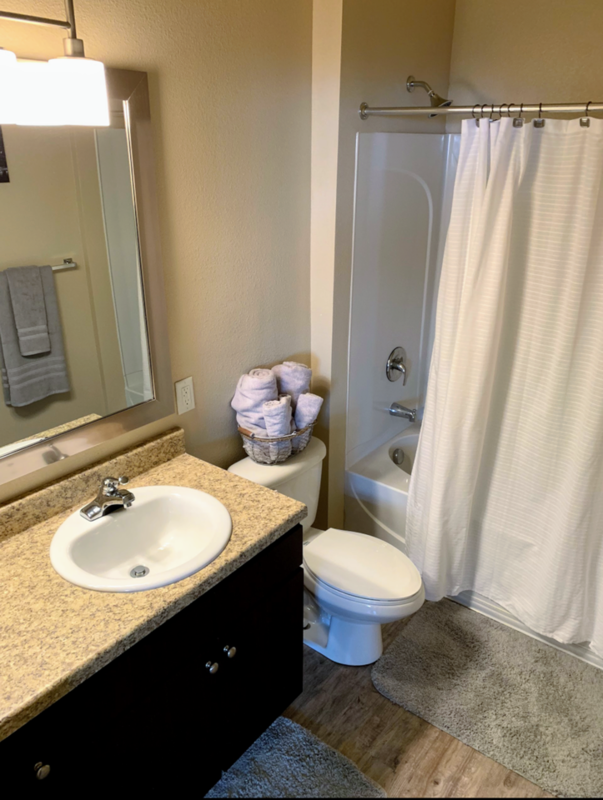 Inside each unit you will find sleek black appliances, designer dark cherry cabinets, over the range microwave with vent fan and light, micro-suede furniture with leather accents, ceiling fan in the bedroom and 9ft ceilings and Juliet Balconies in select units. Our Exclusive Mid-Rise on the River also includes the convenience of 2 Elevators and a Trash Chute. While First Street Place is on the ECU bus route, we are also walking and biking distance to campus and Downtown Greenville. 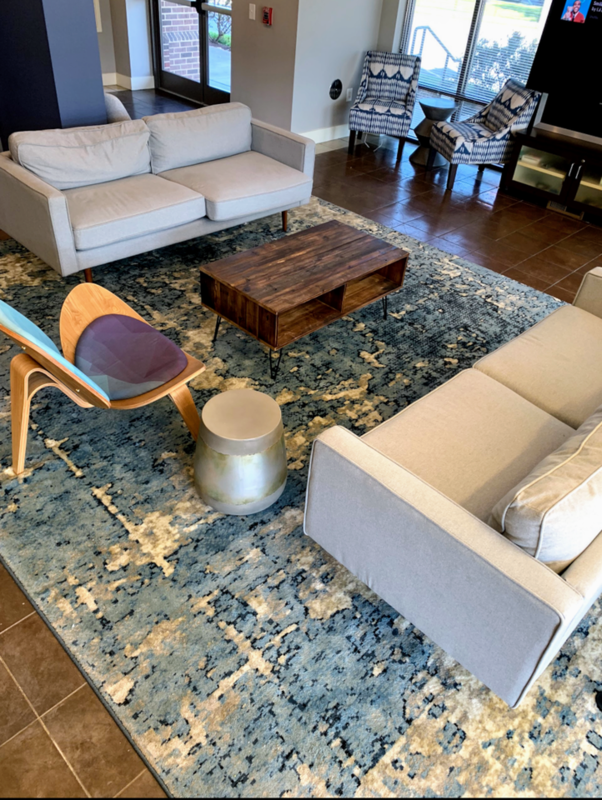 First Street Place offers individual leases perfect for ECU students. Sign up today and find out why First Street Place is the place for you! Perfect for Grad Students, Med Students or Visiting Professors-we offer premium housing to anyone who is interested in living in a smaller, more personal community. Don't forget about your four legged roommate, First Street Place is pet friendly!